PRAYER PROMPT ••• This weekend, people celebrated Earth Day. Personally, I prefer to celebrate the One who created the earth but I digress… but let’s talk about God’s true masterpiece. God created Adam from the dust of the earth. GotQuestions.org has a great article on this topic and in it, the writer points out that God spoke everything else He created into existence except man. 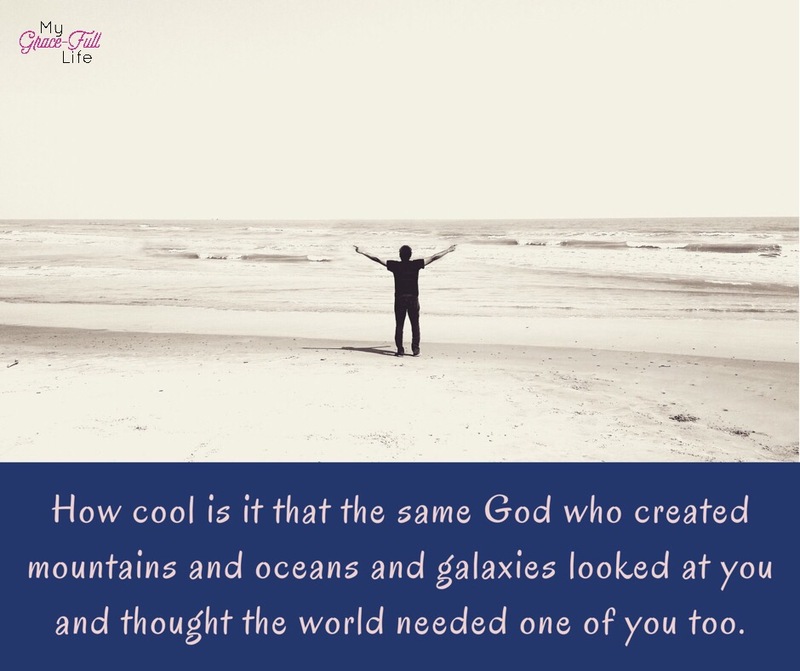 He chose to create mankind from the dust of the earth and breathe life into him setting us apart from the rest of creation. When the world is busy celebrating the earth, give glory to the one who created life. And not only created it, but when a chasm of sin separated us from our Creator, He still loved us enough to send Jesus as the bridge to reconnect us! All we have to do is believe that Jesus died on the cross to save us, and put our trust in Him! Let’s celebrate the life God created and show our appreciation by giving Him honor, glory, and praise! Today, as you pray, thank God for giving you life. Thank Him for thinking of you, making you uniquely special, and knowing every detail about you, including the number of hairs on your head! Thank Him for loving you so much that He sent Jesus to pay the price for your sins so you can have everlasting life!